We are preparing some fair stalls for the event. Of course all of them are about Japanese sub cultures such as mangas, films, and so on. One of them is “find the rarest game soft”. 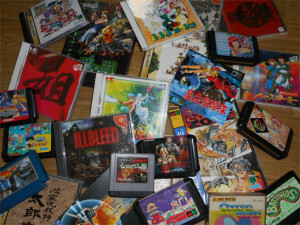 There are many games on the photos, and some of them are sold at a premium (Maybe only in Japan). Can you find them?